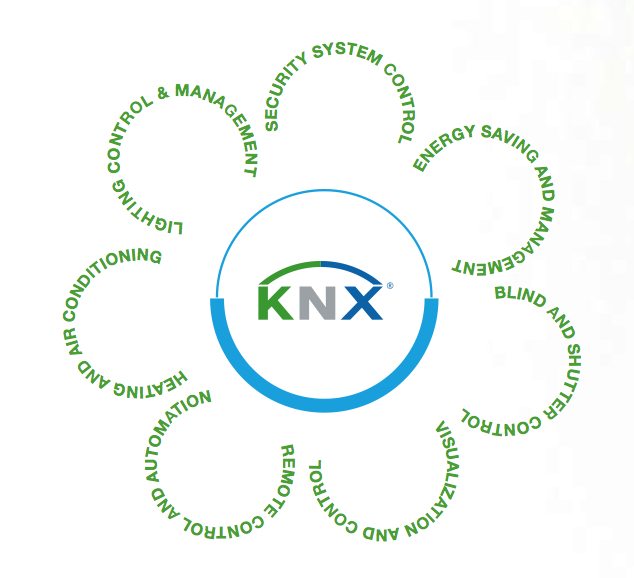 Wherever it is employed, KNX brings real benefits to architects, designers, and contractors and, above all, to building owners and/or users. Low operating costs resulting in considerable energy savings Lighting and heating are only switched on when needed, e.g. depending on time profiles and/or actual presence, thus saving energy and money. Furthermore lighting can be controlled automatically in relation to the daylight intensity of the daylight, thus maintaining a specified minimum level of brightness at each work place and reducing energy consumption (only those light sources really needed remain switched on). Time saving Interlinking all communicating devices with a single bus considerably reduces design and installation time. 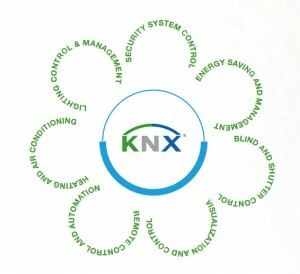 A unique manufacturer and application domains independent Engineering Tool Software (ETS) allows the design, engineering and configuration of installations containing KNX certified products. As the tool is manufacturer independent, the system integrator is able to combine products of different manufacturers with different communication media (twisted pair, radio frequency, power line or IP/Ethernet) to one installation. Flexibility and adaptability to future developments A KNX installation can be easily adapted to new applications and is easily extendable. New components can be easily connected to the existing bus installation.